“But you’re a car guy! !” you shout. Yes, I am. I also have a day job, one that requires I drive 25 miles each direction every day in some of the world’s worst traffic – the Washington, D.C. metropolitan area. Fortunately, there is a dirty little secret for us commuters in Northern Virginia: the Hybrid exemption. Those of us living west of D.C. in the I-66 corridor can buy Hybrid cars, obtain “clean special fuel” license plates, and drive all the way in to the city in the carpool lanes – alone. This saves me on average 30-40 minutes each way, every day. Car guy or not, quality of life is extremely valuable to me. If nothing else, the time saved is more time in the garage playing with one of the fun cars – or better yet more time driving them. 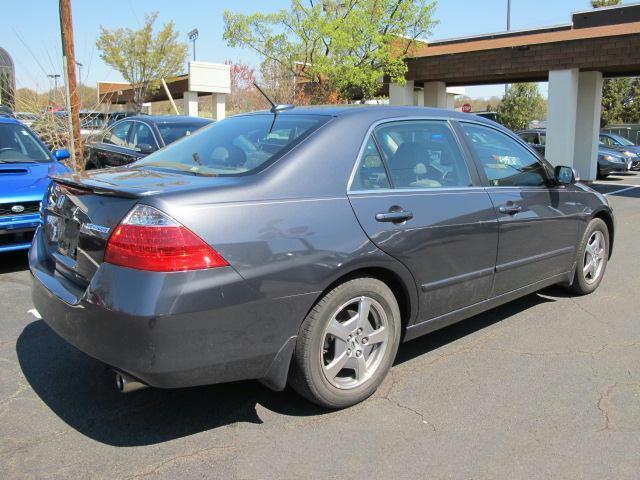 I do like to see the wife and kids on occasion as well..
My current commuting appliance is a 2006 Honda Accord Hybrid. Truth be told, the only thing that gets this car the exemption is the fact that it has hybrid assist and auto-stop (engine shutoff) when at a standstill. It certainly isn’t the fuel economy which averages about 23.5 mpg in all-around driving. 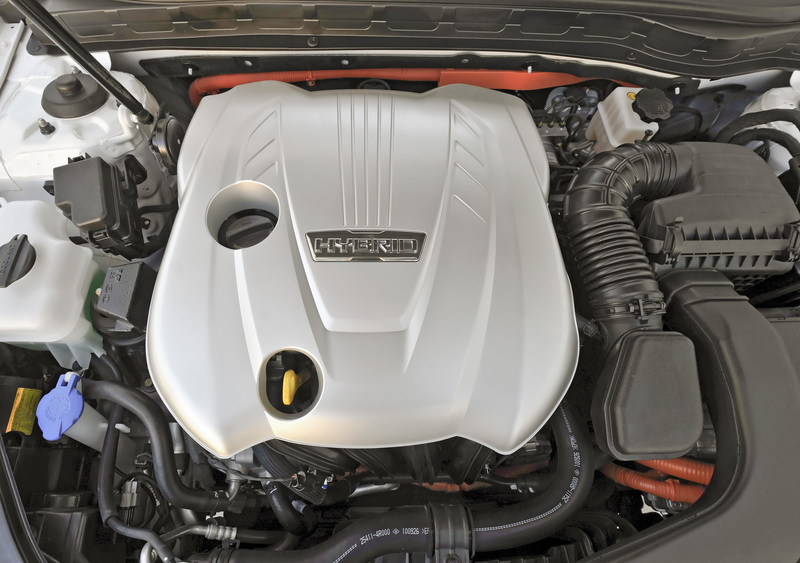 The Accord was intended as a “performance” hybrid, leveraging the additional power from the motor to make it faster, and ostensibly to save a little bit of gas in the process. In fact, this car will do 0-60 in less than 7 seconds, but the old-school Honda “Integrated Motor Assist” (IMA) system is intrusive and rough in operation, making the driving experience less than optimal. So I decided to have a look at my options. I drove a Lexus GS450h hybrid, and although it was even faster than the Honda, I hated the feeling that I was peering out of a pillbox as opposed to the Honda’s low-cowl/tall greenhouse. I also am not a fan of Continuously Variable Transmissions (CVTs) Call me a throwback, but I like gears. I like when they shift themselves, and I like to shift them manually. CVTs, on the other hand, always sound and feel asthmatic to me. Unfortunately, Toyota and Lexus use CVTs in their entire Hybrid range, including the Prius, Camry Hybrid, LS600h, GX450h, CT200h, and the other forgettable Lexus hybrid thingy I can’t recall the name of. Likewise, all of the cars who use hybrid technology licensed from Toyota use CVTs, including the Nissan Altima Hybrid and the Ford Fusion Hybrid. My Honda has gears, and so does the Kia Optima Hybrid. The other thing about the Kia is that it’s pretty. This car looks European, and I like that. In fact, this car looks like what Saab would build, if they could somehow figure out how to build cars again. The Optima was actually designed under the guidance of Peter Schreyer, formerly of Volkswagen and Audi and responsible for such innovative work as the 1998 Audi A6 and the original Audi TT. He has been overseeing design at Kia since 2006, and it shows in the way their cars have evolved. The interior is equally pretty, if a little less robust-feeling than I might like. The look is there, and the switchgear all has a quality feel, but there is this strip of painted plastic that adorns the dash over the gauge cluster and console that is cheap. Really cheap. It would drive me crazy over the long haul. 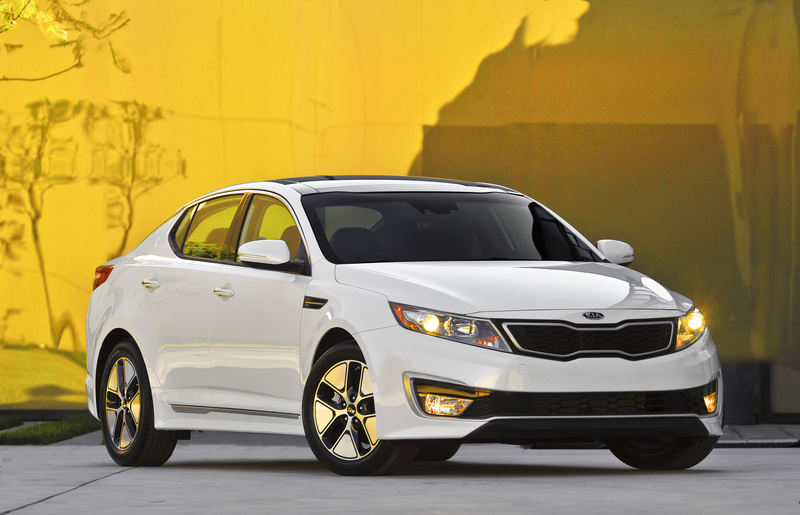 The Optima Hybrid’s driving experience is a bit of a mixed bag. Power is delivered incredibly smoothly, especially in comparison with my old-tech Accord Hybrid. The car also feels quicker than the published mid-8 second 0-60 times would suggest. I dare say it feels sprightly and sporting. The steering is a different story. I started to get used to it, but it has a strange and artificial-feeling weight to it, and I found it a little bit disconcerting and had concern that in a quick-maneuver situation it would be a cumbersome handful. Maybe you adapt after driving it for a while, but I really don’t want to have to adapt. The proprietary hybrid system, which includes laptop-like lithium-polymer batteries which allow for lighter weight and lower replacement cost than their competitors. The EPA mileage ratings for the car are 37 city and 39 highway. I saw an impressive average of 37 mpg in my driving, which was aggressive. 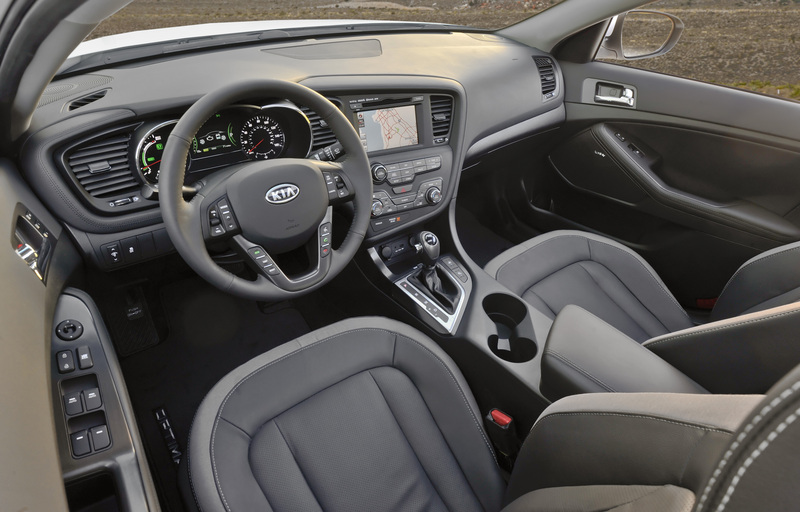 But here’s the catch – equipped with the technology package that includes the dual sunroof, heated leather seats, and navigation, the Optima Hybrid stickers at over $33,000. Even with incentives and discounts, this car will set you back more than $30K – or more than double what a relatively low-mileage Accord Hybrid like mine would cost. That’s also three Mercedes E55s or even maybe 10 MX-5 Miatas. When I look at it in those terms, I am happy to keep driving my old Honda for now. BUT – the Koreans are making their move, and these cars are where Toyotas and Hondas were just a few short years ago in terms of quality and driving, and I expect that they will continue surging forward. Add 10-year protection to the package, and you’re looking at a force to be reckoned with. 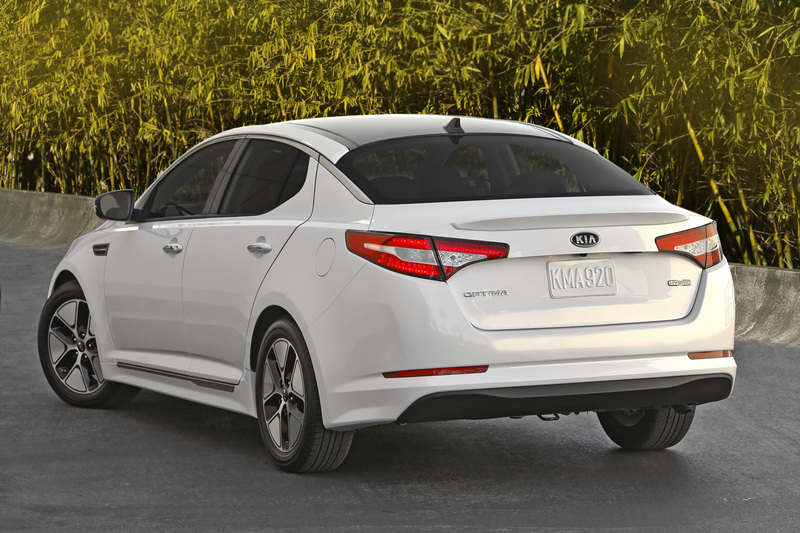 Now if only they could do something about that darned depreciation curve… As for me, I’ll keep my Honda for the time being – it’s cheap and markedly faster than the Kia Optima Hybrid, and most other green machines on the road. This entry was posted on Thursday, December 1st, 2011 at 7:57 AM	and tagged with Accord Hybrid, Atkinson Cycle, Camry Hybrid, Civic Hybrid, GS450h, HOV-2, Insight, Kia, Korean Cars, Optima Hybrid, Prius and posted in Commentary, Dealer's Lot, Totally That Stupid. You can follow any responses to this entry through the RSS 2.0 feed.